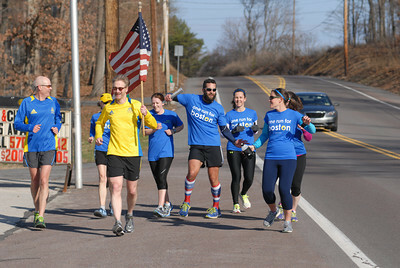 Mark Sullivan, left, takes the flag from Jeremy Hand and Caryn Hand as they finish up their leg of the One Run For Boston on Thursday morning at the Stonington Fire Company on Route 61. 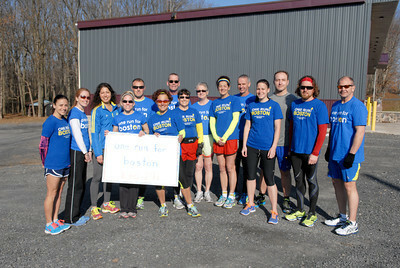 One Run For Boston leg 291 members Sonya Crane, left, Tina Bartholomew, Beatrice Benedit, Bethany Treas, Nathan Fisher, Kathy Pride, Ed Hoffman, Nancy Lee Harmon, Regina Hoffman, Carmella DiPippa, Bob Welby, Amanda Yagel, Bryan Yagel, Jason Deivert, and Doug Alter, pose for a photo before their leg of the run on Thursday in Stonington along Route 61. 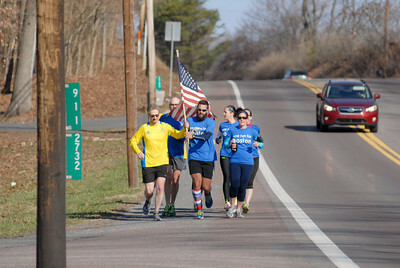 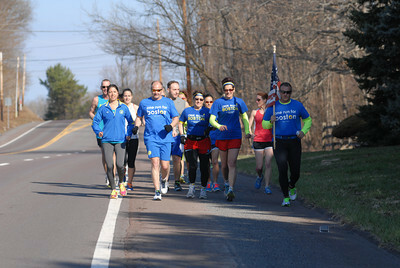 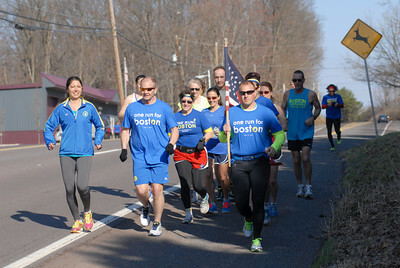 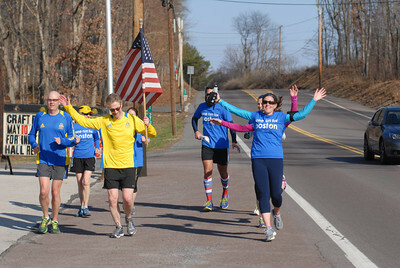 Local runners Beatrice Benedit, left, Doug Alter, Nancy Lee Harmon, Sonya Crane, and Nathan Fisher, start off with others on their leg of the One Run For Boston run on Thursday morning on Route 61 in Stonington.